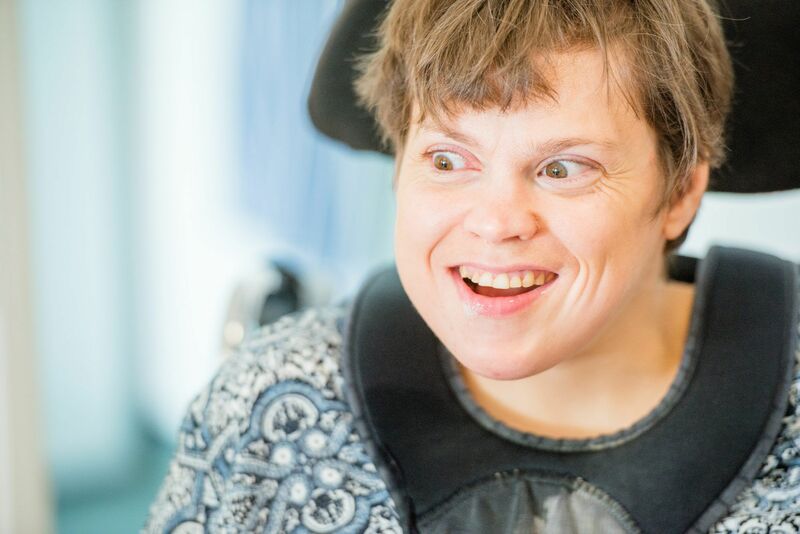 Anita has severe learning disabilities and is a wheelchair user. She’s been supported by Affinity Trust since 2012. Anita’s many health conditions have to be carefully managed and her support staff are trained to administer Anita’s daily medication. None of this stops Anita – she is a positive person and, with the right support, is able to live an active life. Anita does not use words to communicate. 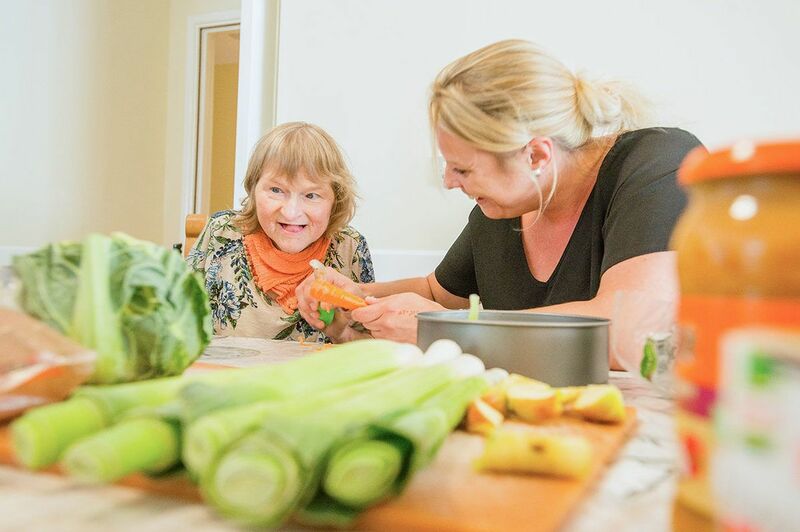 Her support team is trained in non-verbal communication, and know Anita very well, so can understand what she wants through her body language and facial expressions. Every week Anita is supported to go swimming and take part in hydrotherapy sessions. Both activities improve her wellbeing, and make her happy and relaxed. They also allow her a freedom of movement not possible in her wheelchair. Her ideal day also includes shopping – if it’s not too busy – and a coffee or hot chocolate at a local café. When Anita is out and about, she enjoys herself, and so hardly ever needs health interventions. Anita is also supported to attend college every week and has completed courses in flower arranging and food preparation. She recently completed a music course, which she really enjoyed. 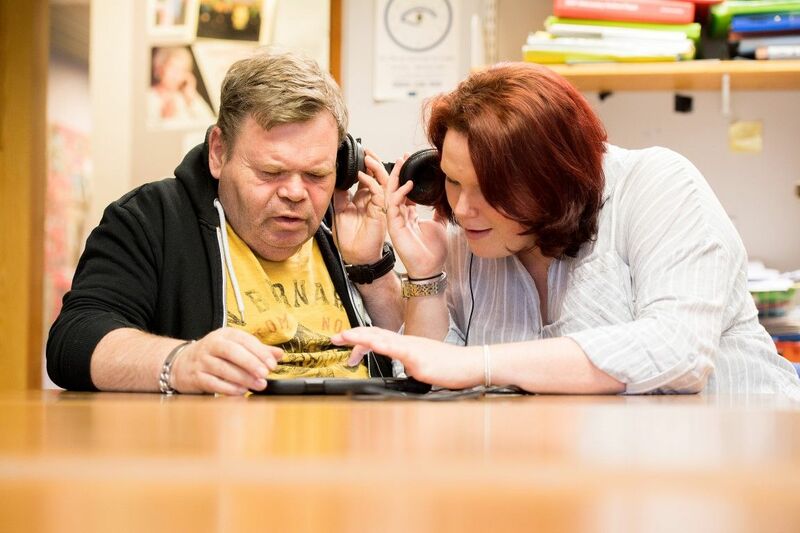 Anita relishes being supported to spend time with her friends. She has a good sense of humour and loves to joke and laugh. She finds it particularly funny when the bus she is on goes over a bump, or if staff accidentally drop things. Anita’s family are very important to her. Her parents attend meetings and reviews and love hearing what Anita has been doing, often remarking how happy they are with the support she receives. We’ve been working in East Sussex since 2010. We currently support 28 people in five residential homes and another 10 people who have their own flats in one purpose-built building. We see challenging behaviours as a form of communication. Through their behaviour, people are communicating that their needs are not being met. We manage a number of residential services across the country where small numbers of people live together in shared accommodation.